This family Easter tail is fun for children – hunting for the Spring Chick around the museum, and for adults too! Pick up a trail sheet for only 50p in the Shop, a pencil and off you go. Adults – don’t forget to pick up the answer sheet to help you guide your children. It gives you some interesting detail too to share with your children. 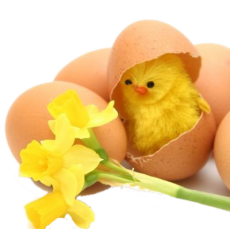 Then – take your finished sheet back to the Shop and claim your small egg prize. We are open on Easter Monday too. 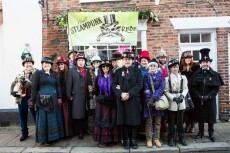 Steampunk day is on Sunday so there will be disruption to the display rooms. To see the Wilderspin Schoolroom at its best you’d be advised to visit on another day. But – if you are Steam Curious – make a visit on Sunday as well. What better way to kick-start our summer re-launch than a chance to browse and buy? 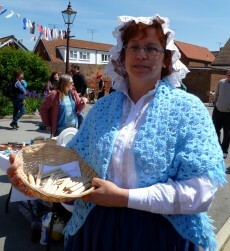 We expect over twenty stalls selling a range of crafts, plants and bric-a-brac – and who knows, maybe a few clothes pegs too as part of a Victorian twist! Stalls can be booked now on (01652) 635172. Hambledon Productions return with the UK’s number one Tommy Cooper tribute. Cooper was a true comic genius. His impeccable timing, misfiring magic, trademark fez and quick-fire gags made him an international star. This show has been at the Edinburgh Fringe, and is part of a UK tour Tickets are £8 in advance and £10 otd. Be inspired by Steampunk Crafters: Dressmaking, Hats, Jewellery, Foam Craft, Gadgets, Gizmos and more! Parasol Duelling for the adventurous! Whether you are already Steampunked or just Steam Curious, there will be something for you! Our last open day in 2018 will be Sunday 23 December. 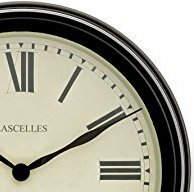 We will reopen in 2019 on Thursday 3 January. Our staff and volunteers wish all our supporters and visitors a very Happy Christmas! Our Winter Opening hours start on 1 December and continue until 28 February. The Museum is open Thursday – Sunday between 11am – 3pm. The Old School Canteen is open between 10am and 4pm throughout the year. 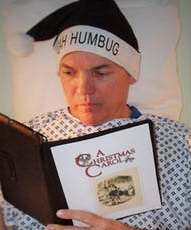 A heart attack, Ebenezer Scrooge, the NHS, and a couple of squirrels feature in this new heart warming seasonal play by Theatre on the Edge in support of the Daisy Appeal raising funds for Molecular Imaging Research Centre for PET CT scanning . 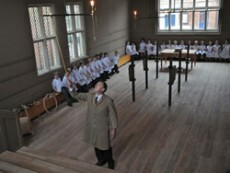 Joseph Wright Hall (first floor auditorium), 7.30pm (doors open 7pm). We are preparing for the Barton Christmas Festival on Saturday 24 November and our Dickensian Christmas (from 29 November) so the Wilderspin Infants Schoolroom will be getting a seasonal facelift which will change its historical authenticity! If you were planning to visit Samuel Wilderspin’s Model Infant Schoolroom we would advise you to visit another time – it will be back to “normal” from Thursday 20 December. 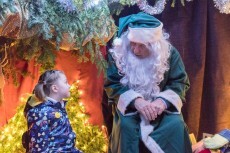 But come along also to our Victorian Christmas Fair on 24 November between 11am and 4pm featuring an indoor Christmas Market, seasonal refreshments in the Old School Canteen and Barton’s only truly Victorian Father Christmas in his Gallery Grotto! 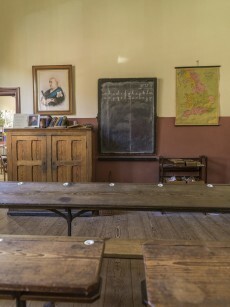 We have local schools visiting and getting a taste of Victorian school life, on Thursday and Friday this week which visitors might like to watch in the Wilderspin Infant Schoolroom and the Victorian Classroom.